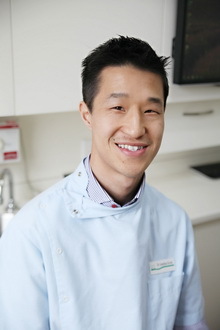 Jonathan has been practising at the Bundoora Dental Clinic since graduating from The University of Melbourne in 2006. He enjoys being able to provide a wide range of preventive and restorative dentistry and is a member of the Australian Dental Association and the International Team for Implantology. Jonathan is passionate about improving access to dental care for disadvantaged people in remote areas and hopes to continue to combine this with his love of adventurous travel. Jonathan married in 2009 and spends much of his free time swimming and keeping fit.